Student leaders of a Bible club have filed a lawsuit against Mechanicsburg Area School District (MASD) over unconstitutional policies that violate students’ rights and for their discriminatory practices that led to denying permission to offer Bibles during non instructional times, specifically from a table during lunch. “MASD has taken away student speech rights in the school and even seeks to regulate their speech rights during non-school hours on public sidewalks that every member of the general public possesses.” Click here for the filed lawsuit. 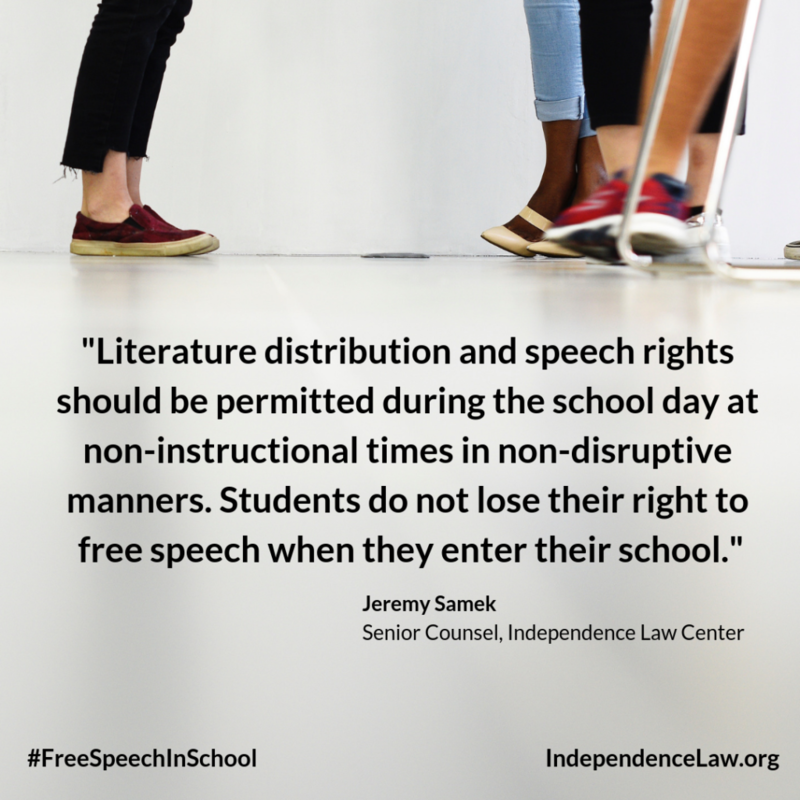 When students enter a government school, they do not shed their constitutional rights to freedom of speech or expression, which includes offering literature to other students. However, Mechanicsburg Area School District (MASD) policies relegate student distribution of literature, quite literally, to outside the schoolhouse gate and outside of the school day. Click here for more. The Bible club requested permission to set up a table at lunch for students to sign a poster saying what they were thankful for and then to offer those students a Bible. The table and thankfulness poster were approved, but the request to offer Bibles from the table was denied by the principal. Click here for full press release.